The only thing worse than being stuck at work, is being stuck at work when there is perfect biking weather outside. So, the other day my wife and I booked the day off, dropped kids off at school and then just hit the road. Life’s too short. 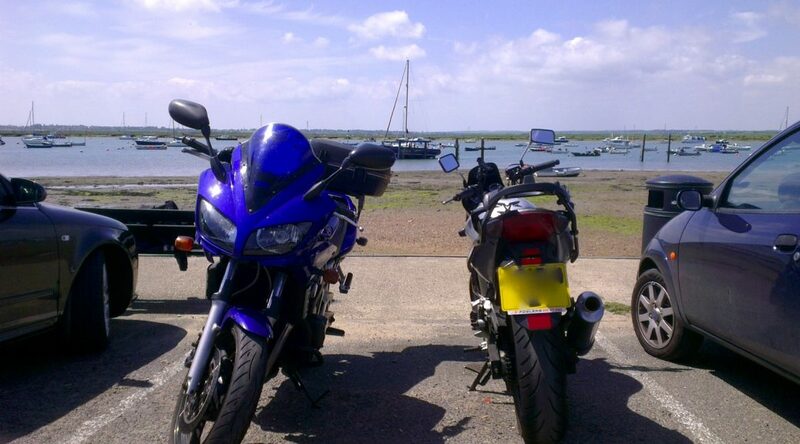 We took a gentle bimble out into Essex with Mersea Island as our destination for lunch. Fairly familiar roads to myself, but a good opportunity for Mary to continue building back her confidence and also test out her new Garmin Satnav. Here’s the route (though we plotted this in Garmin’s Base Camp app and then downloaded it to the satnav, which all worked perfectly).